We Pride ourselves on being Search Engine Optimization and Internet Marketing Specialists. Our motto is Strategy, Implementation, and Results! We take a newly built website or existing one, and look at what it requires to “Standout and be found.” In addition to SEO and internet marketing services, MetaData Media also builds simple, usable, and attractive Open Source Content Management Websites that account for speed, file size, readability, and accessibility — using either the WordPress, Drupal or Joomla CMS platform. Learn more about completed work, or get in touch to communicate about how the We can work with you. Mill Bay, British Columbia, Canada. Wow. Did you get all that! 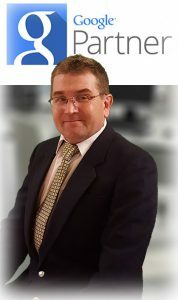 Brad is the founder and principal of MetaData Media, an SEO, Internet Marketing, the web and mobile development company. Brad enjoys sharing a simplistic, logical approach to SEO and internet marketing while dealing with the complexities of e-Commerce and content management websites in an easy to understand format with his clients. 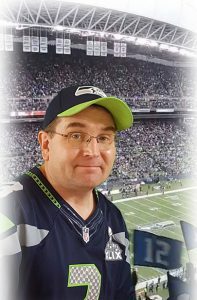 He also plays a mean celtic fiddle and a huge Seattle Seahawks fan that loves to welcome anyone from Washington State that is part of the twelve man at Century Link Field. With MetaData Media, our focus is your time line and we know, you want your website to be productive with a minimal amount of downtime as possible. Not sure of the design you are looking for? Check out our Web Design Theme and Template page to view the many designed templates that can be integrated with your e-Commerce platforms. Thiis includes Shopify, Magento, Woo Commerce for WordPress, content management system or blog with a new look’n feel. Why waste all that time tinkering with colors? We will endeavor to undertake all business relationships in a professional manner, treating you and your employees with respect at all times. Not everyone is a web expert, that’s why you are looking for an SEO and web company that can deliver, right? We understand this and am committed to guiding you through the process one step at a time. We just want to provide solid honest advice and a commitment to deliver the most suitable solution for your needs. No Jargon or false promises. All successful Internet Marketing and web development depend upon developing solid & trusting relationships. Planning, designing and optimizing a website for the web is the easy part, it is on arrival of your first website visitor that the real process begins. We want to be there with you. We love what we do. We are driven by a desire to produce an excellent and effective solution. Money is not our priority, but I do have bills to pay & a family to feed! Creativity and passion are important, but you need a company that can sort out the finer detail. We have that covered. Some people find it disconcerting how meticulous we can be.